Packing light without abandoning necessities is a daunting task for most people. Still, I lived comfortably out of a backpack for more than two months, and I’m usually an overpacker. While the term “backpacking” implies some degree of roughing it, I wasn’t. I simply chose a backpack for the hands-free ease. I knew I’d be spending some days exploring cities before I could drop off my belongings, and I wanted to be able to easily tote my bag through the often hilly and cobbled streets of Europe. Additionally, I wanted to skirt checked-bag fees. After nine weeks abroad, I’ve learned exactly what and how to pack. The trick is planning around a few staples. A travel-savvy friend recommended this 46-liter pack, and it didn’t disappoint. It’s the largest carry-on size allowed by most airlines, and compression straps enabled me to squeeze the bag into overhead compartments on all of my flights, even on the budget airlines with notoriously stingy carry-on specifications. The list price is $130. Unlike most backpacks, this model flips open like a suitcase and can be carried either like a duffel bag or a traditional backpack. The padded shoulder straps and two support bands eased the physical burden of lugging around nine weeks’ worth of belongings. Here’s what I learned: It’s best to make sure you can lift the whole pack with one arm, distribute the weight as evenly as possible, and take the time to adjust your shoulder and support straps each time you put it on. 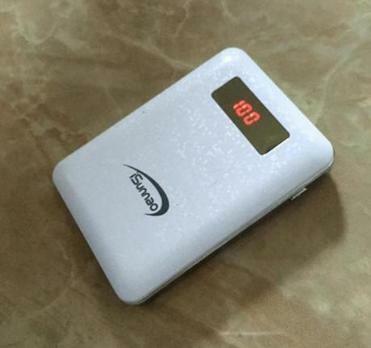 My iSunnao external battery has two USB ports, so my travel partner and I could both power up at once, if need be. The charger lasts for days (I charged my dead phone at least three times without recharging the pack), and has an LED display that shows when it’s time to juice up again. Don’t waste your “one personal item” on a small bag. Bring a big, zippered purse in a flexible fabric, like cotton or canvas, so that you can either roll it up and stow it in your backpack, or stuff it full of the additional souvenirs and clothes you’ll accumulate. I tucked my everyday purse, a small cross-body bag with a chain strap, into the bigger bag on travel days. That way, once we arrived, I was able to explore the destination hands-free and safely without worrying about my giant bag, which I always hid back in our room. I doubted the usefulness of these zippered bags, but now, I can’t imagine traveling without them. The nylon and mesh pouches keep clothes separated and neat. I was able to quickly locate exactly what I needed instead of rifling through my bag and unfurling all of my clothes. Afterward, I just replaced the cubes and was good to go. It cut my packing time in half, and kept my clothes organized and fresh. You can find these anywhere from Amazon to TJ Maxx. The key to keeping your travel bag slim is to bring multipurpose clothes and accessories. Traveling from December through February, I knew I’d need a thick sweater. I chose a wrap as my heaviest layering piece. I curled up beneath it like a blanket back in my room, rolled it up like a pillow on planes, and of course, layered it beneath my jacket on cold days. I made sure to wear it on travel days to save space in my bag. I bought comfy footwear in France after a few weeks of tiptoeing around my accommodations barefoot. Choose a flimsy pair with a rubberized sole so that you’re able to roll them up and stow them inside shoes on travel days. Jessica Teich can be reached at jessicarteich@gmail.com.